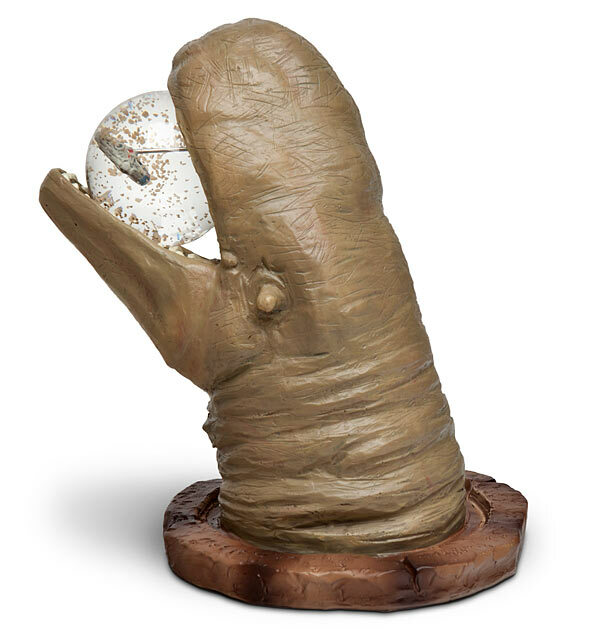 The Exogorth, AKA that space slug the Millennium Falcon flies out of in Empire Strikes Back, is now immortalized in Snow Globe form thanks to ThinkGeek and their licensing of the Star Wars brand. If your suspension of disbelief ends at how this particlar scene makes for a good snow globe, the product specification states it could be hundreds of Mynocks (the bat creatures that latch onto the ship in the same scene), so we’ll go with that. If you ride a motorcycle, love Halo, and are in the market for a new helmet, then you’re in luck: ThinkGeek is offering an officially-licensed Master Chief motorcycle helmet for purchase. 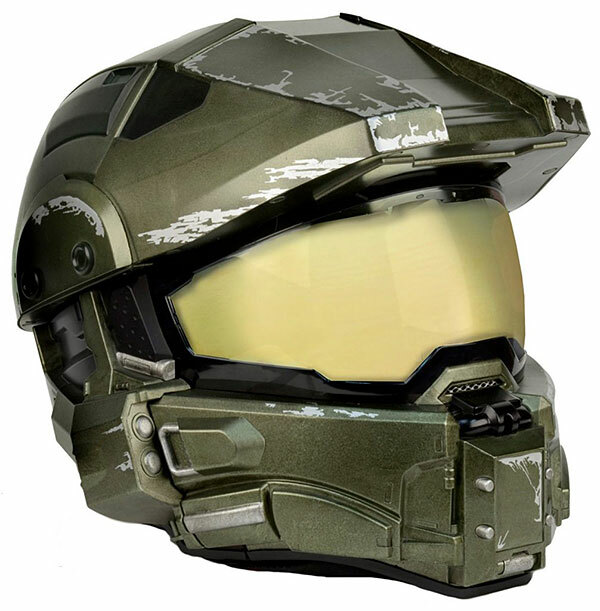 Built to meet or exceed DOT safety standards, the Master Chief helmet consists of an ABS shell with matte UV-protective clear coat and dual layer EPS cheek pads. The helmet features a game-inspired battle worn finish, which also makes it good for cosplay, if that’s your thing. 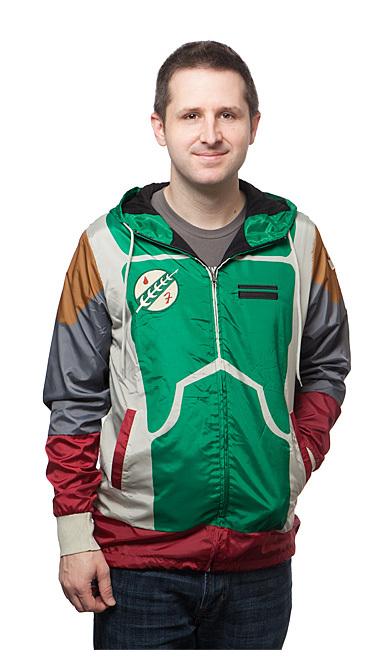 ThinkGeek has released a licensed Boba Fett Windbreaker. It is constructed with a 100% polyester shell and sleeve lining, with a 60/40 CottonPoly body and hood lining, and fully embroidered armor details. Additional features include two pockets, and neck and waist drawstrings. A bit of unfortunate news: I recently found out that in the current Star Wars canon, Boba Fett isn’t considered a true Mandalorian, just a guy who wears their armor. 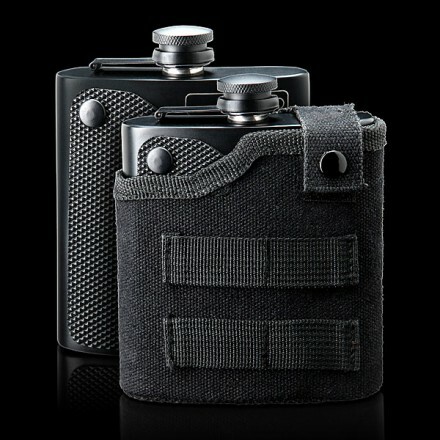 The TGX Tactical Flask is a stainless steel flask with a textured PVC accent piece, which can hold up to 6 oz of fluid. The TGX comes with a nylon holster with PALS webbing and an integrated 1 1/2″ belt loop. 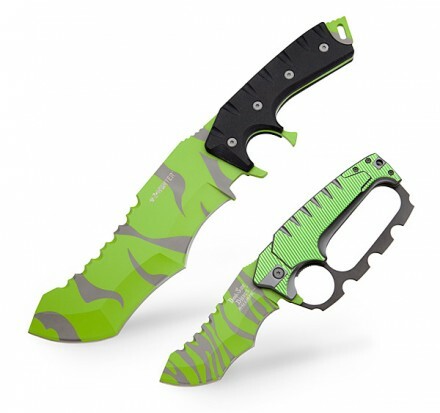 Featuring a green-striped pattern, because there had to be some way to repurpose all the zombie-green merchandise, these Jurassic Hunter Blades from ThinkGeek feature stainless steel blades, and come in two flavors: fixed or spring-assisted. The fixed knife is 13 1/4″ long, with a 7 1/4″ saw-back blade, and K10 handles. The spring-assisted blade is 3 3/4″ long, with an aluminum, knuckle-duster handle. 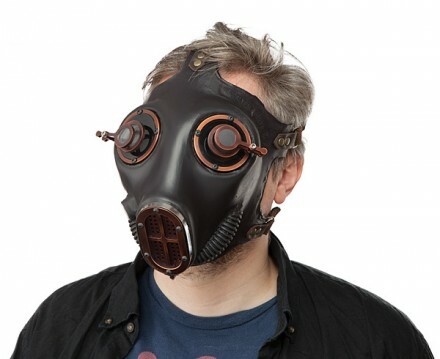 Unfortunately, this is a costume piece, not a working mask, but it’s still really cool looking. It’s made of silicone with machined aluminum with a copper finish, and adjustable jeweler’s lenses over both eyes. Reminds me of Karl Ruprecht Kroenen from the first Hellboy flick. 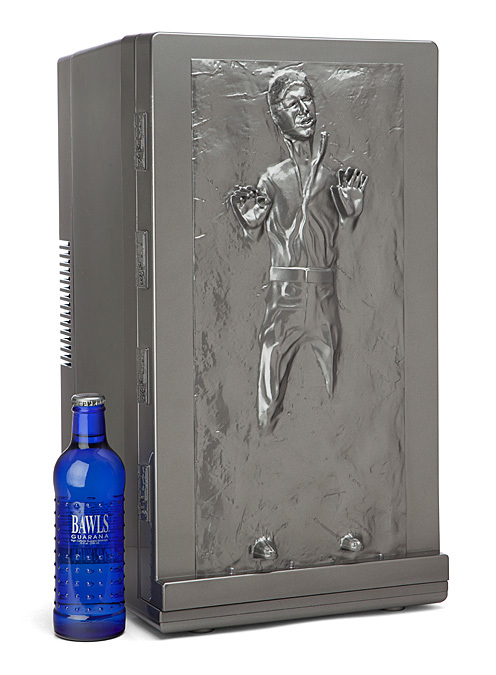 Exclusive to ThinkGeek, the Han Solo mini fridge is capable of storing up to 17 cans of soda, and despite Carbonite involving flash-freezing, the fridge also features a warm setting. 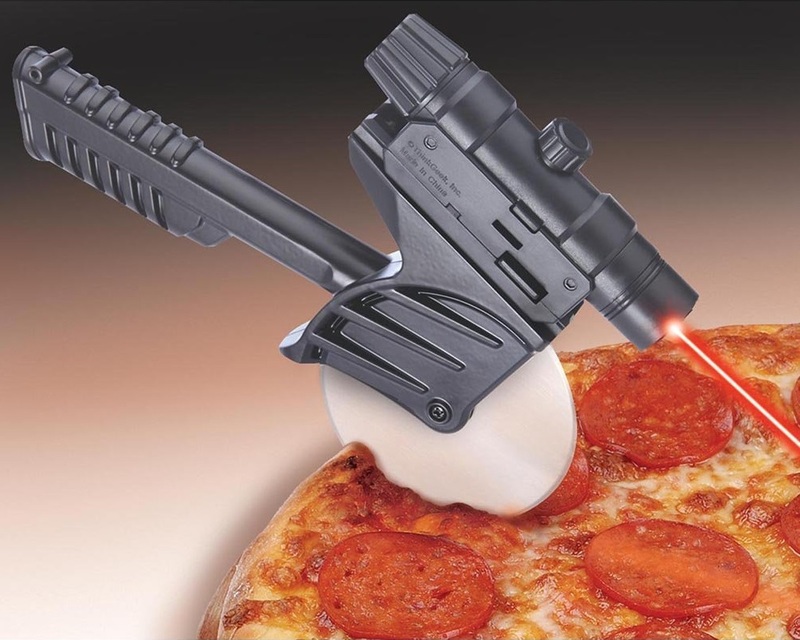 ThinkGeek’s Tactical Laser-Guided Pizza Cutter is a pizza cutter with a laser pointer and flashlight, for all your operational pizza cutting needs. 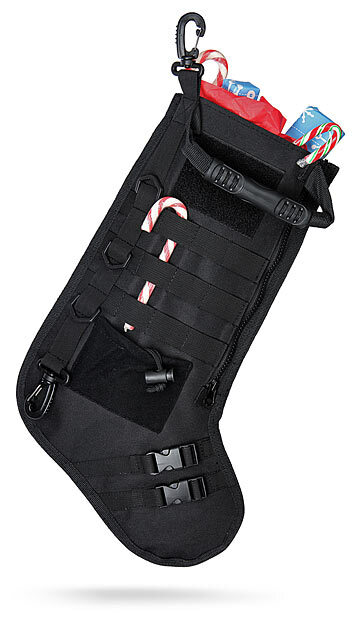 Leave it to ThinkGeek to come up with something like a ‘Tactical Stocking’. Made from “Heavy Duty Nylon”, the all-black tactical stocking features PALS webbing, carabiners, quick-release buckles, a top handle, a Velcro panel, bi-directional side zipper, and a small, external pouch. If it were in some kind of Christmas-themed camo, and they lost everything but the PALS webbing, external pouch, and the Velcro panel, I might actually want one. The Laser-Guided Tactical Necktie now ranks among various April Fool’s Day jokes that progressed to an actual product available for purchase due to popular demand. Made from durable nylon, this tactical necktie features a Class II laser pointer, PALS webbing, and a removable storage pouch. It makes the perfect accessory for any Tactical Tuxedo. 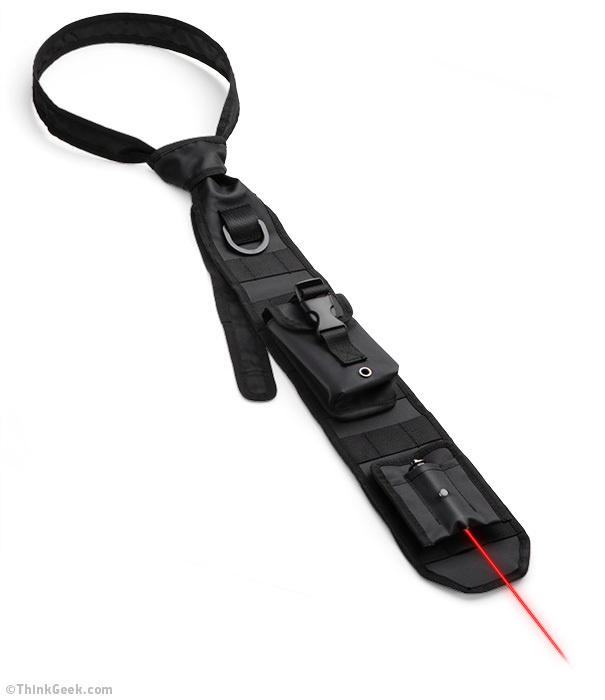 Made from durable nylon, this tactical necktie features a Class II laser pointer, PALS webbing, and a removable storage pouch. 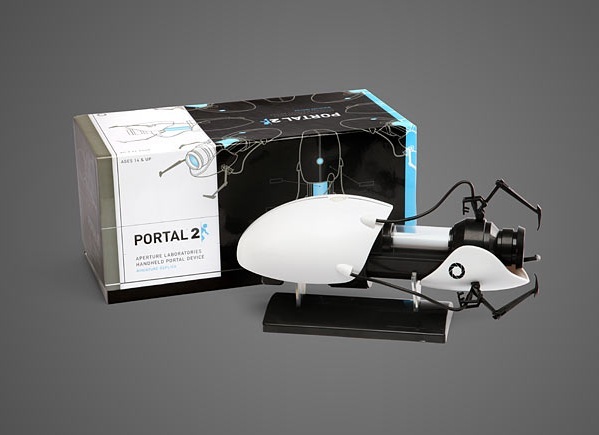 This officially licensed miniature Portal gun replica is for everybody who didn’t get a chance at the full-sized (and expensive) version. It features orange and blue LEDs with corresponding sound effects, a functioning trigger, extendable and posable claws, and a display stand. The whole package come in a Portal-themed, full color gift box. Powered by 3 AAA batteries. ThinkGeek is selling replicas of the Imperial Death Star Officer’s Cap from the ‘Star Wars’ films. They’re created from the existing cut patterns from the LucasFilms archives and made using a heavy, custom dyed, all-cotton weave, which is similar to the fabric used to make the originals. The cap also includes an aluminum Imperial disk, which functions as “the metal thing in the center of the forehead”. 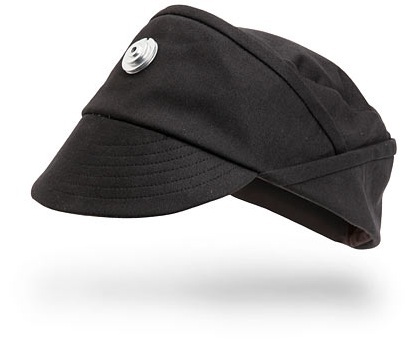 Great for cosplay or just wearing around, because nothing says ‘I’m awesome’ quite like an Imperial Officer’s Cap.